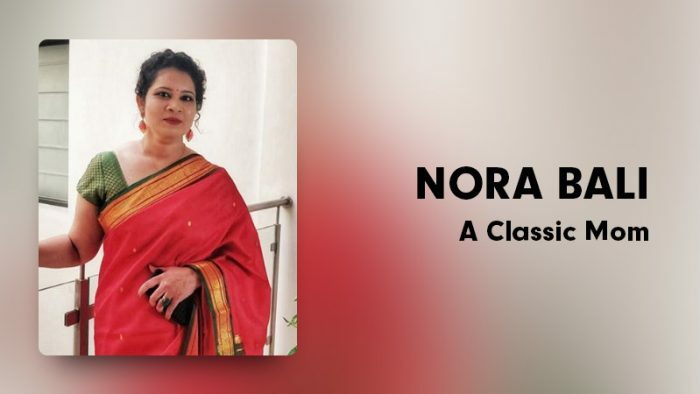 From giving up a corporate career to creating numerous videos subjecting the art of parenting, Nora Bali(A Classic Mom) shares her voyage. Showing the roller-coaster ride part of being a parent and creating content that would appraise its viewers about sincere concerns when it comes to parenting is her forte. In a conversation with Social Samosa, Nora takes us through her content creation process. I gave up my corporate career in MarCom as I wanted to give all the time to my little bundle of joy who came into my life in the year 2012. Spending the early years of motherhood with my LO was the most cherishing time filled with kisses, smiles, tears, hugs, a lot of poop, but most of all – a lot of love and joy! As I elevated from a toddler mom to a pre-schooler, there were many things I wanted to teach my son. Like most other moms, I used to take to the internet and YouTube to find answers to my never-ending questions about Parenting. I found hundreds and thousands of DIY videos and makeup tutorials on “how to look your best in a party” to “how to apply eyeliner in 30 secs” but there were no videos on “how to raise a smart kid”. I did not find anything on “how to make them confident?” or “how to travel with kids abroad”. I had a long trip planned to the USA and had to travel with a 4-year-old and had no clue how to pack, where to go, what to feed etc. So, I decided that I am going to document every fun learnings, tricks, and hacks, travel trivia that will help moms to plan their best trip with their kids. After I came back, I started my channel – A Classic Mom on 21 Jun 2017. I even recently started a fun series called Unparenting where I basically propose parents to “stop being a parent” and smartly find solutions to teach your kids various life skills and values without handholding them. I always believe that the classic way is your unique way. So, if you feel something is best for your baby that is your choice and that is classic. That’s how the name A Classic Mom came into place. I really wanted to contribute to moms’ community by creating genuine and relatable content which I have been doing and I am so glad I took this step. If you’re running low on ideas for things to do with your kids, if you are the one who does not look at motherhood as a burdening experience but a fun and enriching experience, come to my channel – A Classic Mom for inspiration, experiences & personal perspectives. I love to bring out simple relatable things in fun creative ways so I converted my love for comic books into these funny ACM (A Classic Mom) comic strips. It is very simple, I am a mom creator …I just pick stories from my everyday life. My naughty 6-year-old gives me enough content in a day’s time. Kids are so smart these days, no single books or methodology work when it comes to parenting. I create videos on ideas and tips that have worked for me. Maybe if you (as a mom) try the same giving your flavour it might give you best results. Currently, through Adsense & YouTube Monetisation. I have worked with a couple of brands and that is the way forward to sustain in this industry. Being a PR person I make it a point to understand the brand messaging first and try to build my storyline around it keeping the essence of my channel intact. Once when a mom subscriber told me that my video on safety from predators helped her educate her child and she actually used it in a real-life situation. That day I decided that I am going to make videos for the rest of my life! If it can help one, it sure can help many and I am going to do everything and anything to reach out to my audience and help them with my experiences. I would like to be a Public Speaking coach for kids. In fact, I am working on this! I start my day early and hit the bed early with my son. When he is around it is pretty much running around him. I do my writing and scripting and part of my shoot when he is in school. Most of my videos involve my son too so I juggle his time in between his studies and hobby classes. Well, I would say dive into blogging if you are passionate about writing your experiences about various aspects of motherhood. Don’t ride into this wave of blogging just for freebies. I would say because blogging has given the power to many to express and write what they feel, there has to be some sense of responsibility while doing so. Because we are in the age of Instagram and every moment is captured and showcased; lets collectively take a decision, to be honest to what we are doing. Only then the industry will take shape. YouTube is again an excellent platform to document and tell stories and it has opened avenues for so many talented people. I want to be perceived as a person who has helped moms raise smart and independent kids through the journey called motherhood.